As the holiday season approaches, the importance of market research will be more prominent as manufacturers attempt to gain insight into consumer purchasing behavior. U.S. buyers are projected to purchase $646 worth in gifts on average this holiday season, up 11 percent, the Accenture Holiday Shopping Survey said. The survey also reveals that consumers perceive Thanksgiving Day and Black Friday as shopping opportunities, with interest in Black Friday reaching a five-year high. 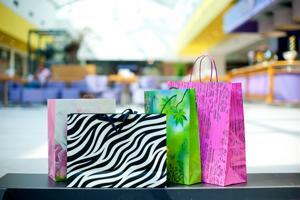 The study shows 20 percent of consumers intend to increase their gift spending, which is 6 percent more than in 2012. In addition to consumers spending more in the survey's spending analysis, buyers are also expected to increase in size, leading to retailers more likely to open their stores on Thanksgiving Day. "Thanksgiving Day shopping is now a firm fixture in the holiday season," said Chris Donnelly, global managing director of Accenture's retail practice. "We will see more stores opening early on that day in order to capture their share of consumer spending. Although retailers' main draw on Thanksgiving Day and Black Friday will be 'doorbuster' deals, shoppers will be demanding discounts of 30 percent or more throughout the season." Deals will play a major part in shoppers' decisions, as buyers looking for deals have increased to 32 percent, up 6 percent from 2012. The amount of consumers anticipated to be effected by economic concerns has declined from 28 percent in 2012 to 24 percent this year. Of consumers who plan to spend more this year, 41 percent said they wanted to make up for a tough year and 37 percent reported an increase in their discretionary income. With holiday spending expected to increase in 2013, some companies may need to adjust their marketing campaigns. There are many reasons why companies should not decrease their marketing budget, according to Industry Week. One reason is that marketing helps firms determine how their markets work. Market research reports like holiday shopping surveys can provide valuable information on how consumers behave to yield a higher return. Choosing how to market also impacts production decisions in order to meet consumer demand. Customer tastes and preferences are always changing and it's important to keep up in order to keep manufacturing firms relevant and their products in demand. After a spending analysis, companies may be able to address their procurement issues and meet production needs at the same time if they invest money toward consumer and market reports.